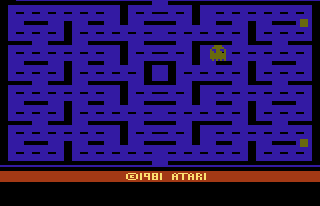 This is a port of the classic arcade hit, Pac-Man, for the Atari 2600. This game has been rated very poorly for having such bad graphics and worse gameplay than the original arcade version. Nevertheless, the mission remains the same: move Pac-Man around to collect the dots (lines?!) before getting hit by those ghost-like fiends! This is widely panned as being the worst version of Pac-Man you will ever find for any system, and it most definitely is. Because of this, it is a must-have for any collection, just so you can show people how awful it really is. 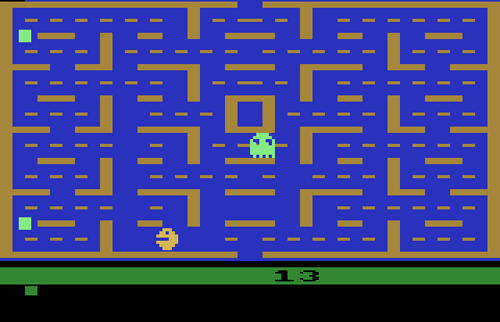 Other than that, it still holds a special place in my heart for being the first Pacman I ever played. 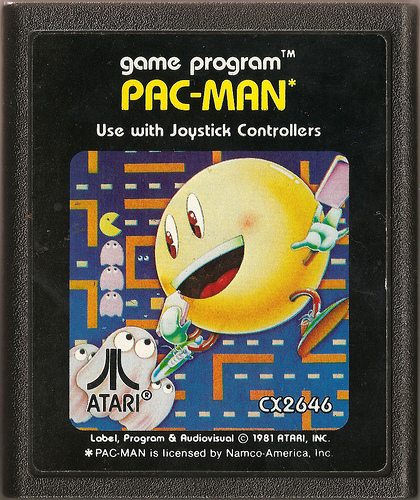 Pac-Man for the Atari 2600 is a port of the arcade game. It is pretty inferior to the arcade version. The graphics and sound are not as good. However the gameplay remains the same, eat dots, collect fruit to boost score and use flashing dots to eat ghosts. While it isn't as good as the arcade version, it is decent for a home port. Now you can add videos, screenshots, or other images (cover scans, disc scans, etc.) 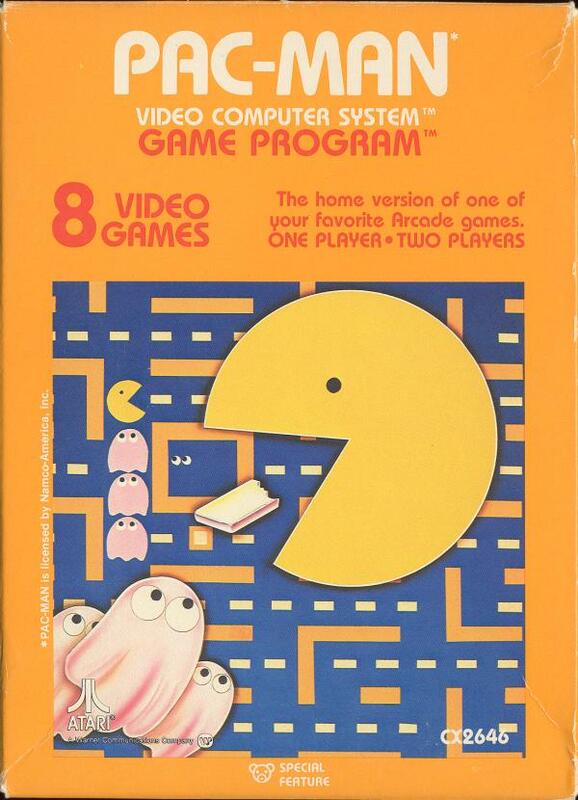 for Pac-Man (1982) (Atari, Tod Frye - Sears) (CX2646 - 49-75185) to Emuparadise. Do it now!